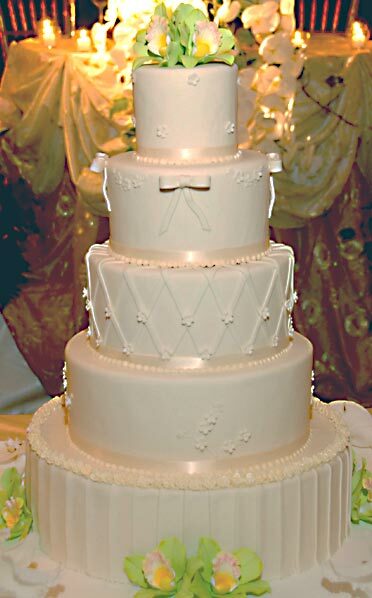 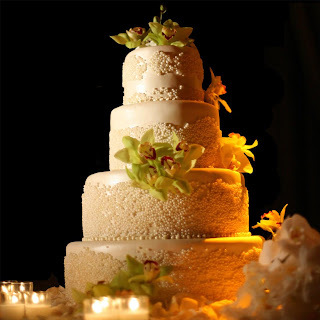 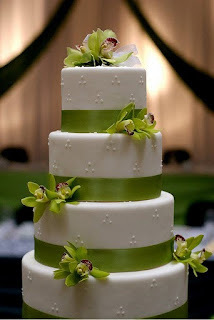 Lovely wedding cakes pictures of round white wedding cakes decorated with exotic green orchids. Four tier white wedding cake encrusted with edible pearls and lovely green orchids. Lovely four tier round wedding cake with a hexagonal base tier and exotic green orchids. 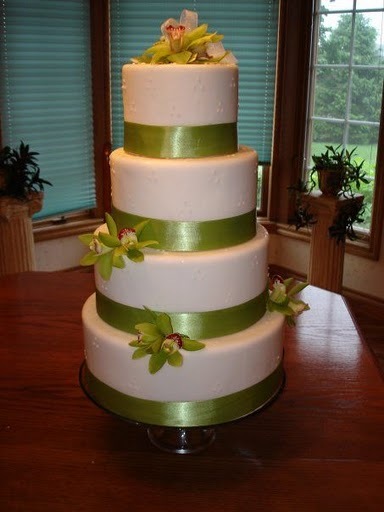 Round four tier wedding cake with green ribbon around the base of each tier and orchids splashed around the cake. 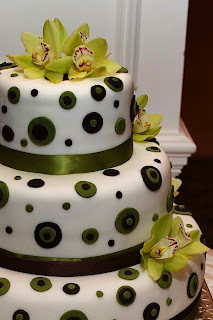 Swiss dots, green orchids and ribbon wedding cake. 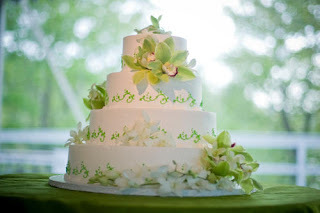 Beautiful traditional white wedding cake set over 5 differently textured and decorated tiers with exotic green orchid cake topper. 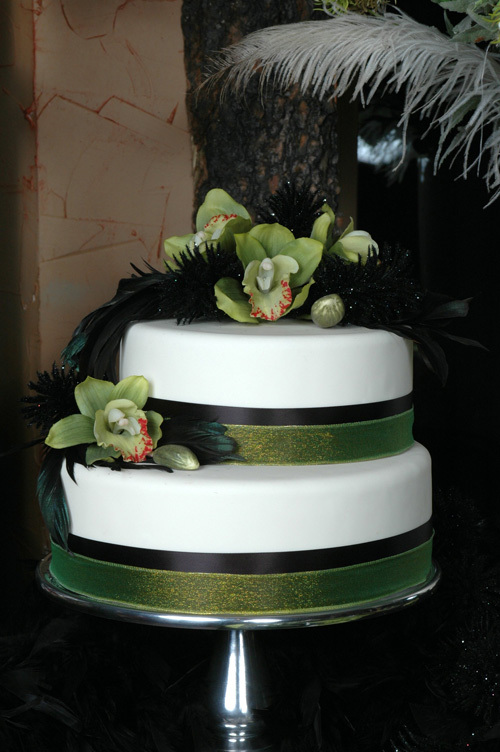 Simple and elegant two tier round cake decorated with black and green ribbon and green orchids. 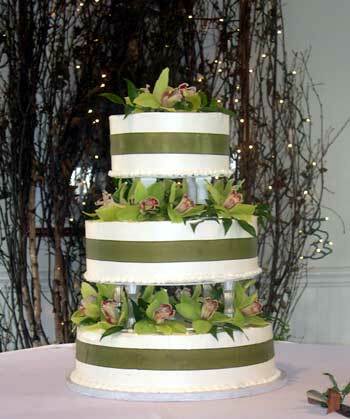 Three tier wedding cake, each tier is separated with columns for added height with many exotic green orchids. 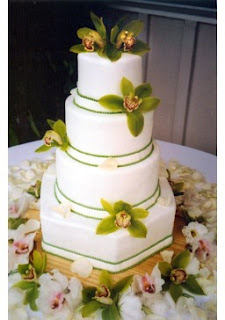 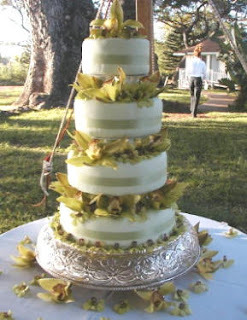 Whimsical green and white wedding cake set over four tiers white green scrolls on a white base and lovely green orchids. Green and white wedding cake, four tiers separated by green orchids. 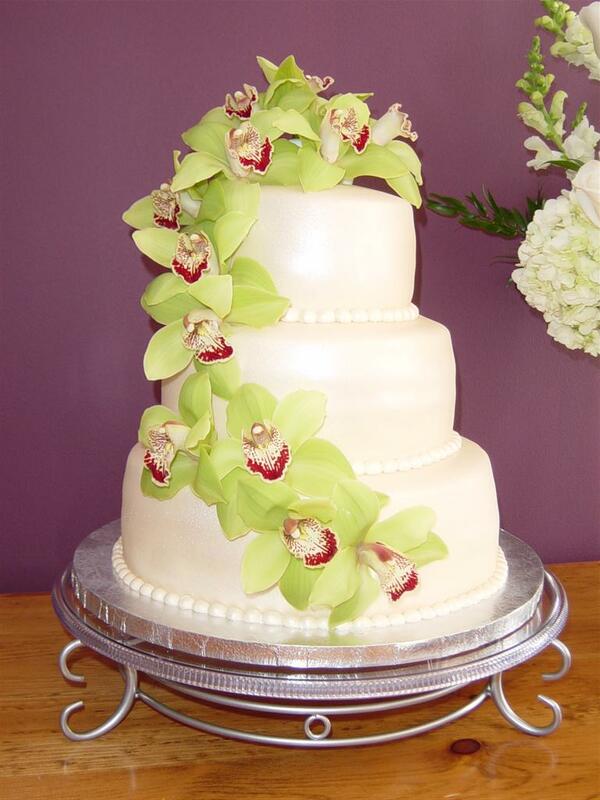 Three tiers, edible pearls and dark green orchids make up this small but exquisite wedding cake. Three tier white wedding cake with cascading green orchids. Modern three tier wedding cake with green and black circles, green ribbon and green orchids. Tropical exotic wedding cake over four tiers with cascading green and pink flowers.